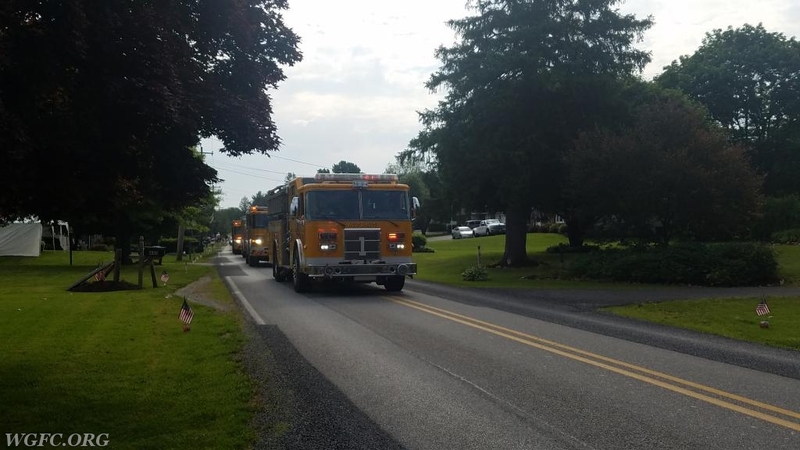 WGFC trucks roll State Road in London Grove township. 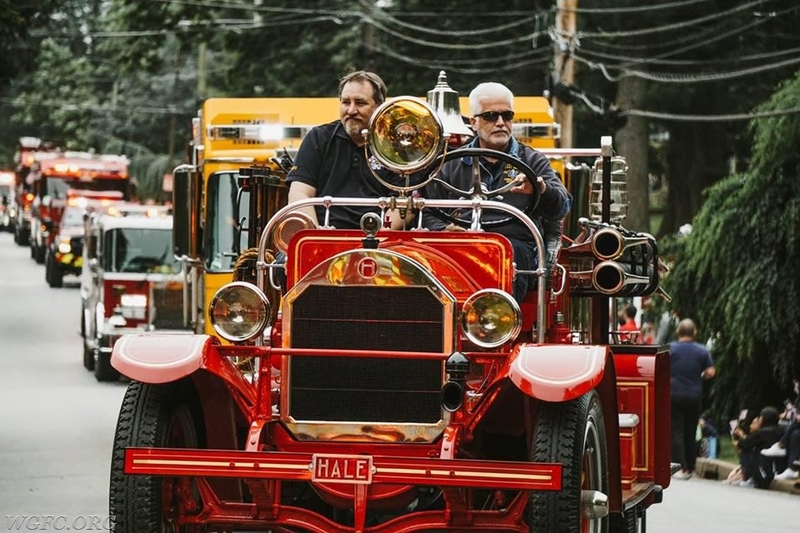 Antique 22 leads the West Grove delegation at the annual Memorial Day Parade in Kennett Square, the second of two parades in which WGFC units were featured. 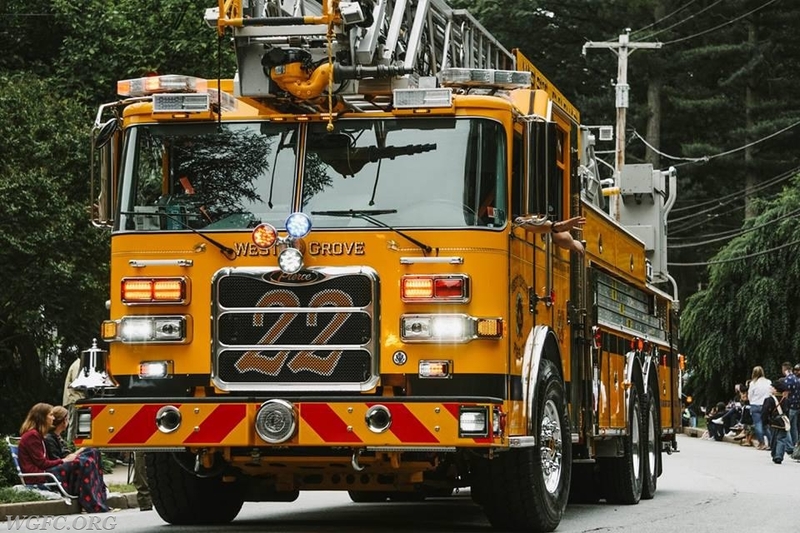 The officers and members of West Grove Fire Company honored our nation's fallen heroes by participating in the annual Avon Grove Memorial Day Parade on Saturday May 26 and the Kennett Memorial Day Parade on Memorial Day. Three dozen members took time from their holiday weekend to represent the department at both parades. 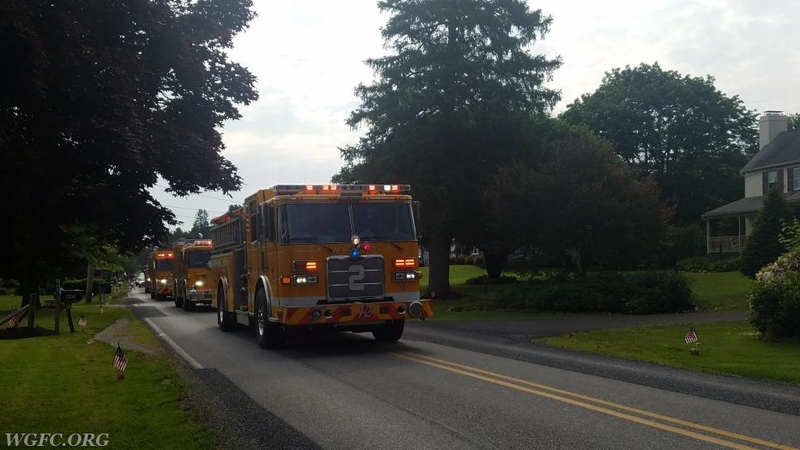 Our members are proud to assist the greater Avon Grove Community and southern Chester County to honor our fallen service members who have paid the ultimate sacrifice in order to secure our freedom. West Grove Fire Company would also like to acknowledge the nation's Gold Star families on this Memorial Day. It is an honor to serve the West Grove Community while remembering their sacrifice.